Many in the science community are saying that July 23, 2015 is a day that may go down as a milestone in the search for life outside of Earth. 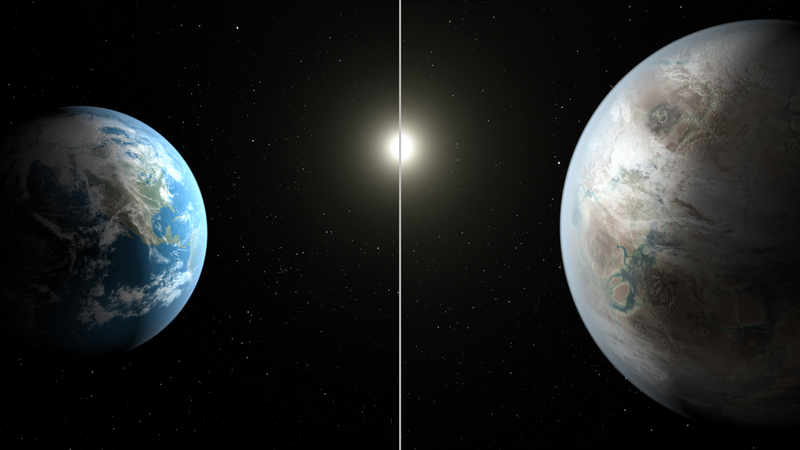 With NASA's discovery of Kepler 452b -- or what some are calling Earth 2.0 or "Earth's cousin" -- scientists have discovered a world orbiting a star very much like our Sun at almost exactly the same distance that Earth orbits our own Sun. Potentially habitable planets have been found before, but this is the first that could actually be a planet resembling Earth. While chances of intelligent life on 452b may be slim, Shostak was optimistic we will find it one day when he appeared on our Larry King Now panel on the search for life outside of Earth in the clip below. In the last twenty years, mankind’s quest to explore the universe has resulted in an awe inspiring discovery of planets outside of our solar system. Since the mid 1990s, over 1,700 "exo-planets” have been found, with 715 of them being discovered just last year. In the clip below, Dr. Nick Siegler, the Technology Manager for NASA’s Exoplanet Exploration Program, predicted the discovery of planets like Kepler 452b during our space exploration panel. As we continue to reach for the stars, each discovery brings us one step closer to a better understanding of our place in the universe and intensifies our age-old questions: Are there worlds out there like our own and do those worlds possess life, intelligent or not? Stay tuned.